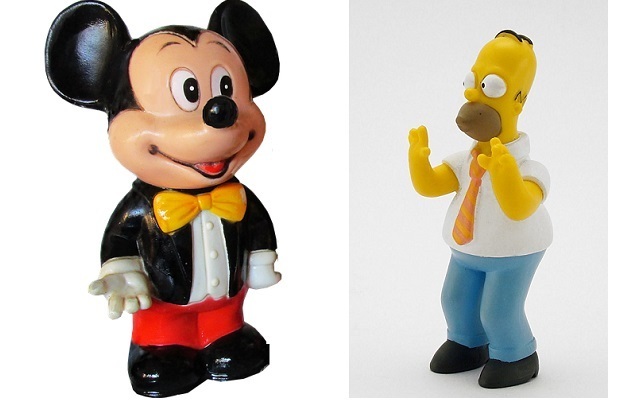 Entries from Digital Intelligence tagged with "fox interactive"
Disney to buy Fox: Ready for a Netflix showdown? Disney has agreed a $52.4bn deal to buy film and TV assets from 21st Century Fox, will buy swaths of 21st Century Fox as it readies for battle with Netflix, Amazon and other tech companies. Rupert Murdoch’s 21st Century Fox and Sky have led a $15m (£10m) funding round investing in streaming service fuboTV. India is set to be the "single greatest opportunity over the next five to 10 years" according to future 21st Century Fox CEO James Murdoch. Twentieth Century Fox Home Entertainment has launched a virtual shop in partnership with HMV, using QR codes on posters to sell DVDs to consumers via their smartphones. Launching this week, with QR codes featured in outdoor media on prominent high street bus shelters, the virtual shop is marketed as 'a simple and convenient way to start their Christmas shopping now'. 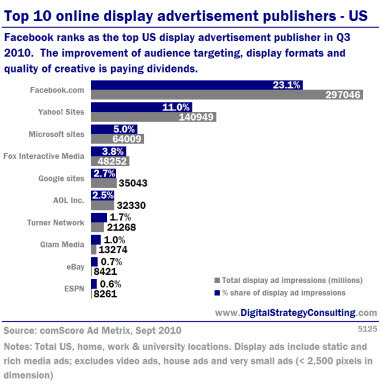 Facebook ranks as the top US display advertisement publisher in Q3 2010. 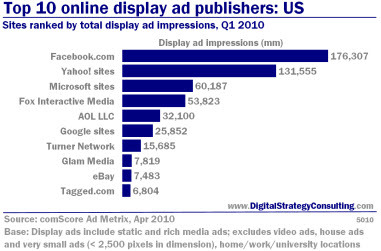 The improvement of audience targeting, display formats and quality of creative is paying dividends. Fox Interactive Media (FIM) has acquired both Photobucket and Flektor, writes Netimperative. FIM (a division of News Corporation and MySpace owner) was reported to have offered $250m (£151m) for Photobucket at the beginning of May. Photobucket provides picture, slideshow and video sharing services to over 42m users across 300,000 websites. 47% of all Photobucket users link to social networking website such as MySpace. Flextor provides media tools which allow users to edit video and audio files to create mash-ups and other user-generated clips. Excludes traffic from public computers such as Internet cafes or access from mobile phones or PDAs.